I should have known from the start that Misha was no ordinary dog. Most dogs would enjoy being on top of the bed. Not Misha. She prefers to be under the bed. I took this photo when she was about 10 months old. She weighed 7 lbs. That bed she is laying under was Sierra’s. It’s made for a large dog. I had trouble sometimes dragging in around. 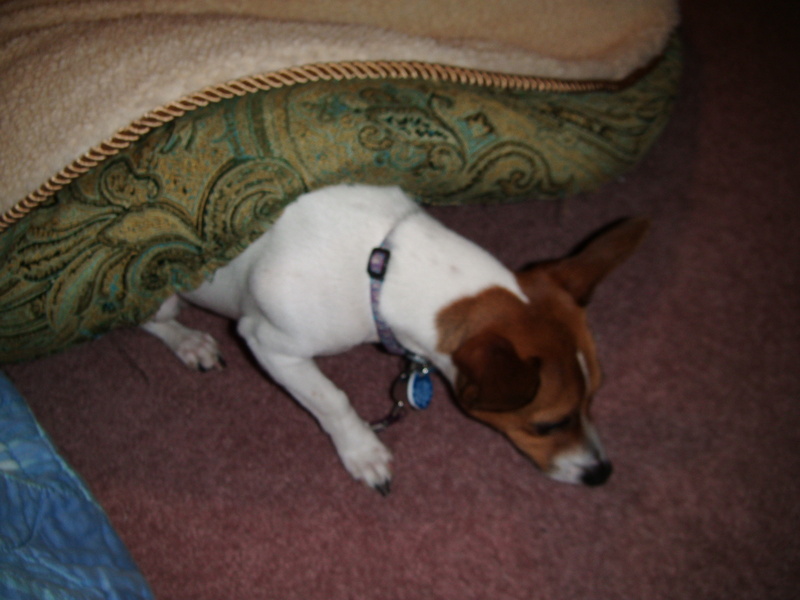 Misha…she liked picking the bed over her head and playing underneath it. She would crawl back and forth, grab toys, and then, drag them under with her. Maybe I should have been a little worried about that behavior ;). I never helped her. She was strong enough to lift it up herself and she always got out on her own.